To get the Lice Insurance Program, contact Adrian Picheny at (888) 542-3292, or email info@licetreatmentcenter.com. Click Here to learn more about how LTC’s lice removal treatments are performed in camps. 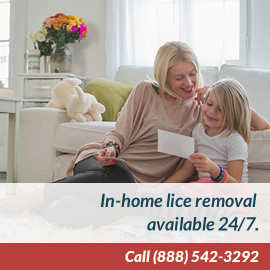 Call (888) LICE-AWAY or 888.542-3292 for assistance. What's a Camp Lice Insurance™ Program? Because lice infestations at summer camps are so common, the American Camp Association (ACA) suggests that camp administrators and leaders establish “a lice control policy” prior to camp opening. Signing up for LTC’s Camp Lice Insurance Program is one way to address this issue. For the cost of what most parents spend on shampoo for their children's camp stay, you can protect your campers and staffers against a lice invasion. Our goal is to become your partner in taking a proactive approach against troubling lice infestations. Lice head checks on opening day of camp. Pre-negotiated, flat-rate lice treatments for campers arriving on opening day with lice, using our pediatrician-formulated, natural, non-toxic ingredients Jolis Cheveux lice treatment products. Provision of a full summer's supply of our Jolis Cheveux Preventive Shampoo and Conditioner. Outgoing head checks during final week of camp to ensure campers return home lice free. Provision of around-the-clock lice support, including access to LTC trained technicians and Dr. Elin Cohen, a board certified pediatrician and LTC’s medical director. Provision of LTC product and informational brochures to send home to families.